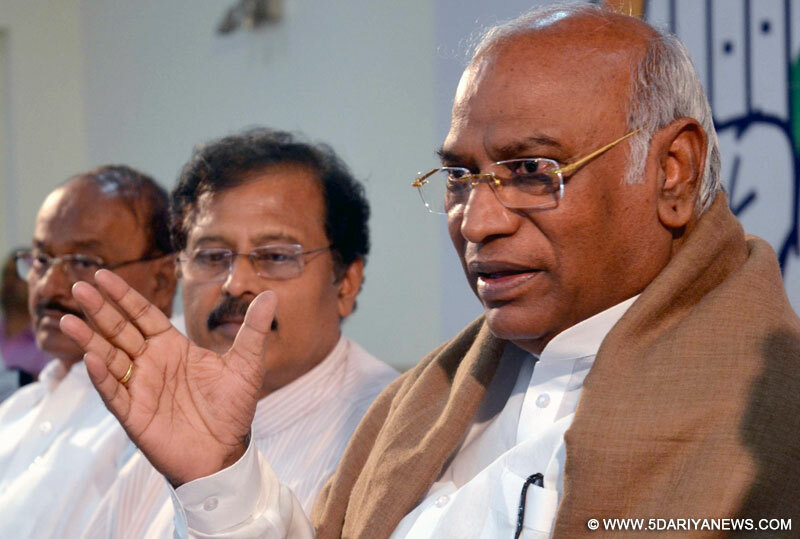 Congress leader in the Lok Sabha Mallikarjun Kharge on Monday bluntly asked BJP leaders, including Prime Minister Narendra Modi, on why their party had opposed the GST Bill when the UPA was in power, with Modi, then Gujarat Chief Minister, terming it "anti-states". "We are getting all the blame, a perception has gone we (Congress) stalled the GST. Actually it is you all (BJP) who opposed it," Kharge said in the Lok Sabha while participating in the GST bill.He said the issues raised by Congress should have been addressed earlier.Pointing towards Prime Minister Modi, who was present in the house, Kharge said as Gujarat chief minister, Modi himself had opposed the GST. "You ruled there for 13 years. If you had agreed about the merits of GST earlier, it would have been implemented long back and the country would have benefited long back," he said. "So please stop blaming us... that Congress has stalled GST," he said.Kharge also said the government should not try to push the GST bill as a money bill.Earlier, another Congress member Deepender Singh Hooda also said the GST bill should not be considered as a money bill.Kharge's remark that all BJP leaders insist on describing the central government as "Modi Sarkar" and "not BJP Sarkar" drew laughter even from the Prime Minister.Congress Vice President Rahul Gandhi was also present in the house.